The mullahs’ crimes of the past continue to be unearthed. This week, Amnesty International published the results of an investigation into the regime’s mass executions of more than 30,000 political prisoners (mainly MEK activists) in 1988. The report revealed the sites of seven mass graves. In an attempt to hide their macabre handiwork, the regime tried to destroy all evidence of the gravesites between 2003 and 2017. As the mullahs try to escape responsibility, Amnesty International revealed the locations of the seven suspected locations. It suspects mass graves in Mashhad, Ahvaz, Tabriz, Khavaran, Rasht, Qorveh, and Sanandaj were used to dispose of victim’s bodies. At a later date, the regime attempted to level the grave sites to mask their locations. Although Amnesty International’s findings represent progress into unraveling the circumstances surrounding the forced disappearances, there are still questions that require answers. Reza Shafiee reports that the exact number of deaths at the hands of the mullahs in 1988 is still unknown. Lower estimates put the number of political prisoners executed at around 5,000. 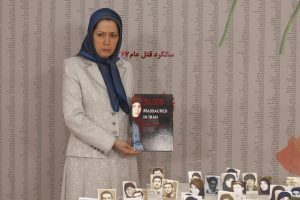 However, the Iranian opposition, the People’s Mujahedin of Iran (MEK), based on eyewitness reports and remarks by former Intelligence ministry agents, many more were killed, estimating as many as 30,000 were arbitrarily executed. In his article, Reza Shafiee calls for an investigation into the events that unfolded in 1988. Many of the suspects responsible for the executions still hold powerful positions in the clerical regime in Iran today. Shafiee singles out Ebrahim Raisi and Mostafa Pour-Mohammadi. Both men allegedly were part of the “Death Commission”, a task force responsible for finding members of the MEK and administering their execution. Now, Raisi is the high-profile custodian to the Imam Reza Foundation. Mostafa Pour-Mohammadi was in Rouhani’s first cabinet as the Justice Minister for the regime. Another person involved in the executions, Alireza Avii, succeeded Mostafa Pour-Mohammadi as Justice Minister in Rouhani’s second cabinet. In 1988, the Death Commission was tasked to eliminate Iran of MEK supporters. They rounded up MEK activists and tried them in show trials which lasted mere minutes, before sending them to the gallows. Victims could be incriminated for the smallest details. 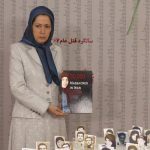 Many of those executed had done nothing more than take part in a peaceful demonstration called by MEK, distributed leaflets, or were affiliated with the political opposition group, the MEK. The MEK and other human rights champions and political opposition groups in Iran have urged the international community to help bring those responsible to justice. The families of victims deserve answers to the question of what happened to their loved ones. While the people of Iran are bravely taking to the streets to demand these answers, they need the support of the international community. Let tough actions and a firm stance towards the violent and brutal clerical regime send a message; that they will not get away with the slaughter of thousands of innocent civilians.